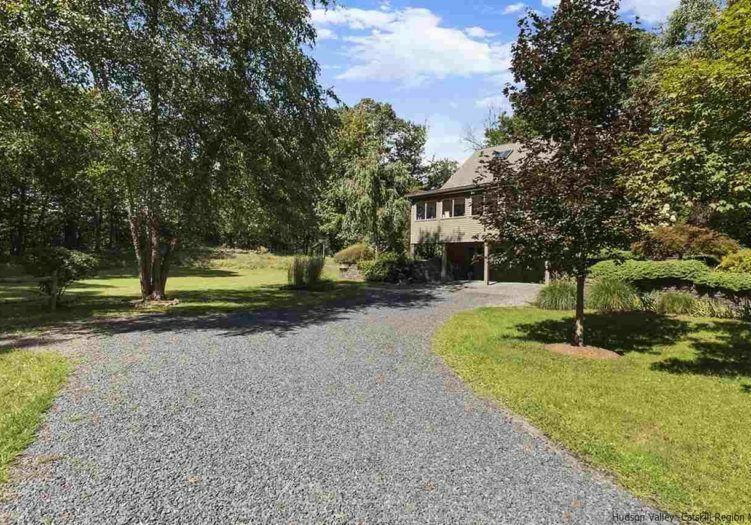 This country dream property consists of two unique homes set on a beautifully landscaped 3.83 private acres. 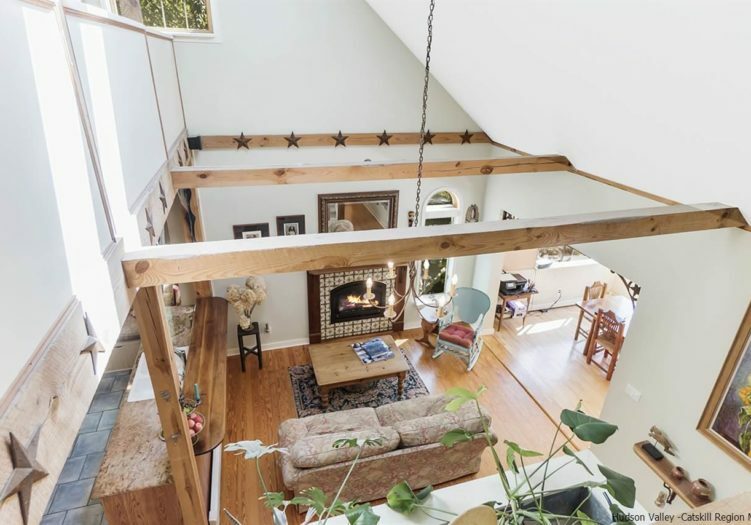 The main home has an open floor plan, exposed beams, high ceilings and an abundance of natural light. 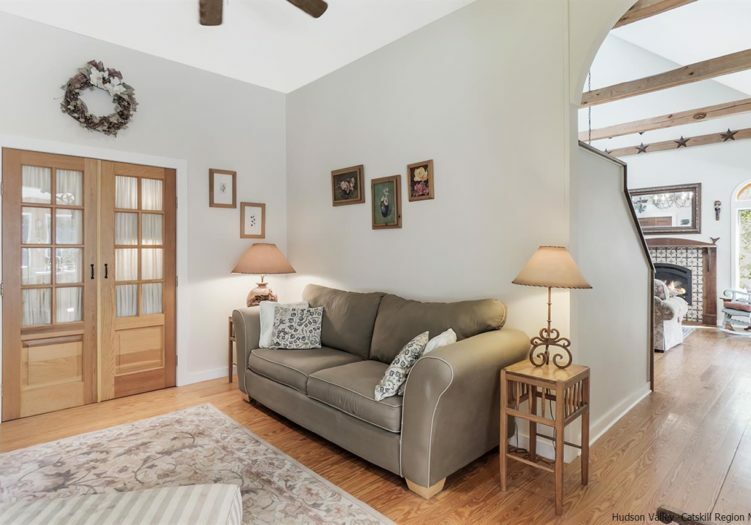 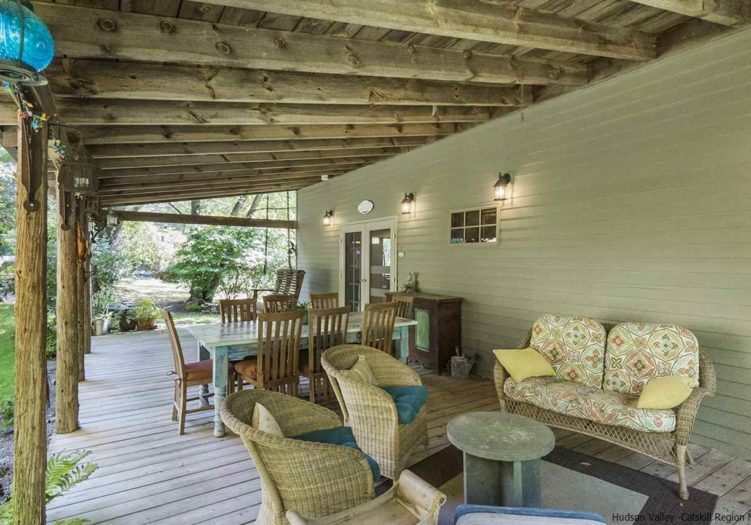 The back porch flanks the length of the house and is a perfect place to dine, socialize with friends or just relax in the pastoral landscape among the many species of plants the current owners have placed throughout the gardens. 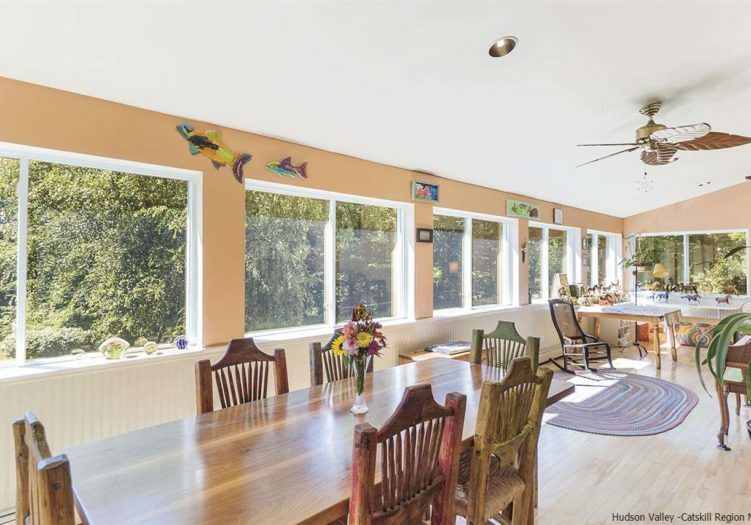 Windows define the other southward facing side of the home, providing a bright and spacious environment with views of nature's beauty right at your fingertips. 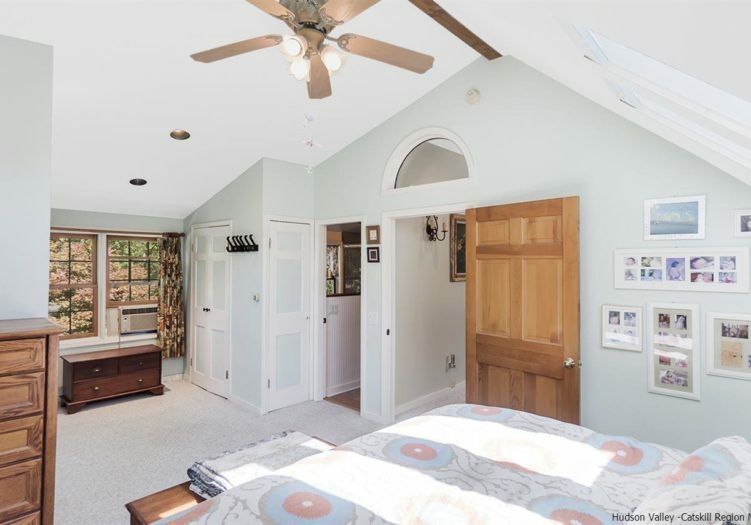 The master suite is spacious and continues the theme of light and openness. 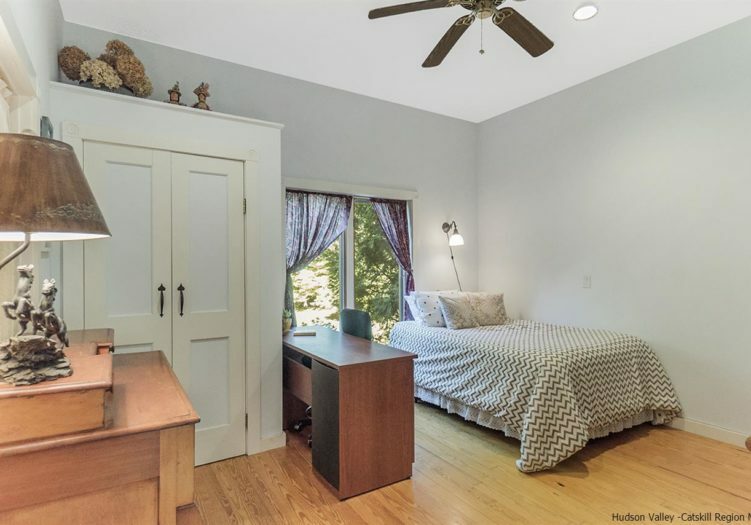 The adjoining loft area can be used as a study, semi private sleeping area or enclosed for an additional bedroom. 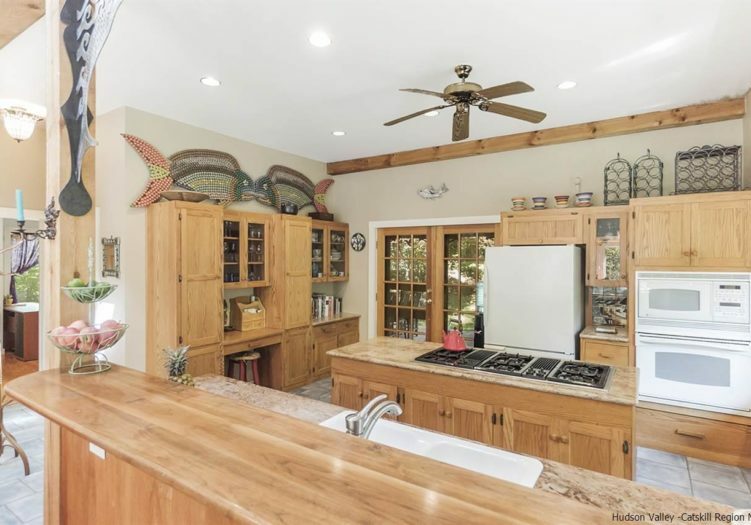 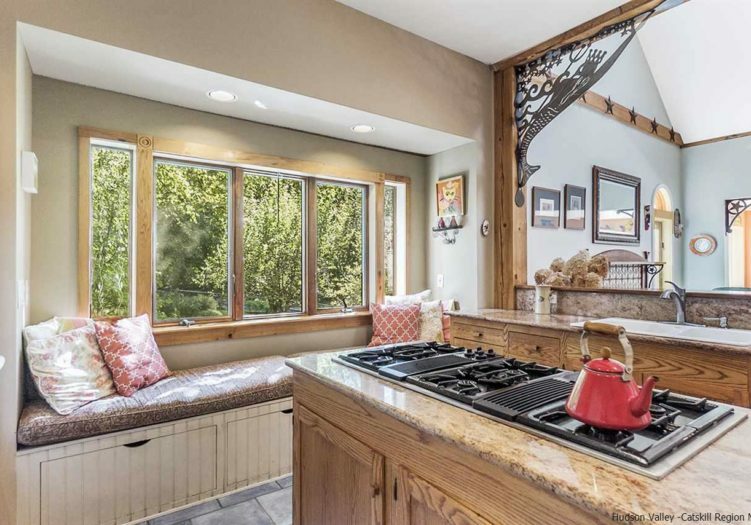 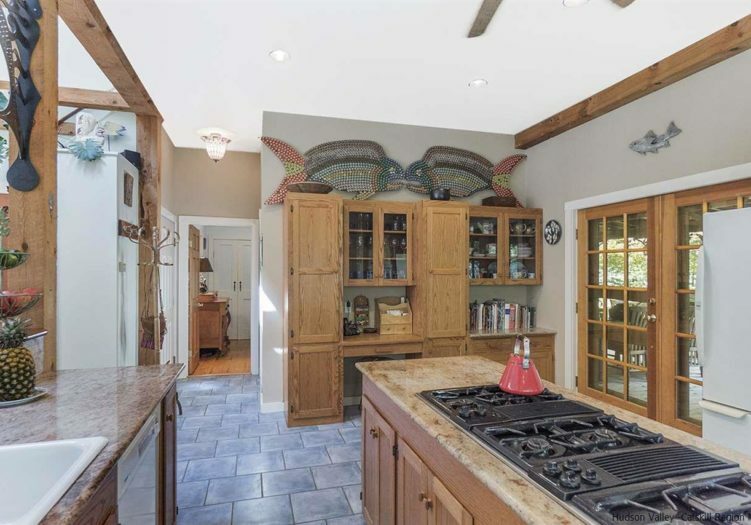 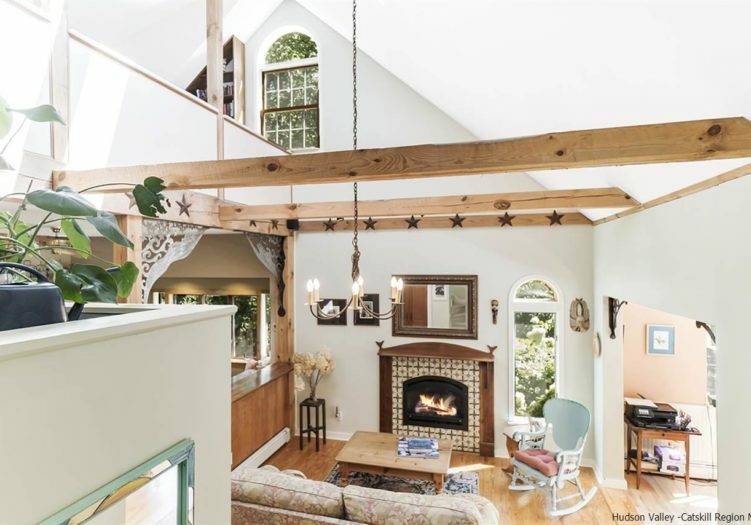 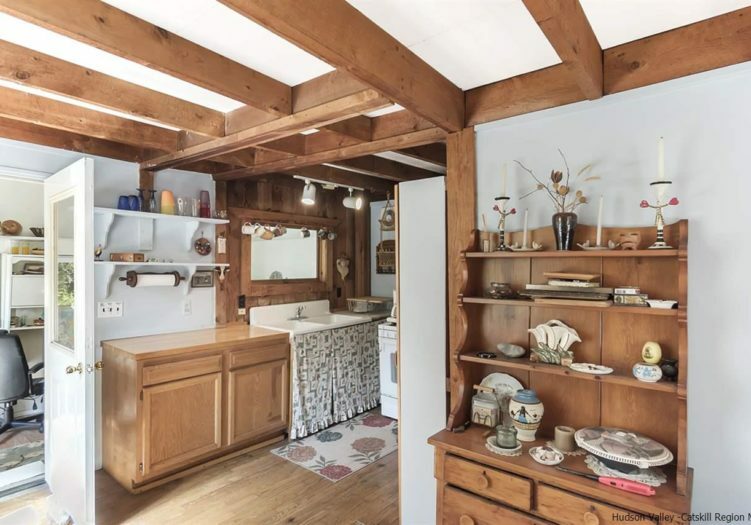 The kitchen is large and yet still cozy with a window seat overlooking the gardens and opens to the living room which features a fireplace and vaulted beamed ceilings. 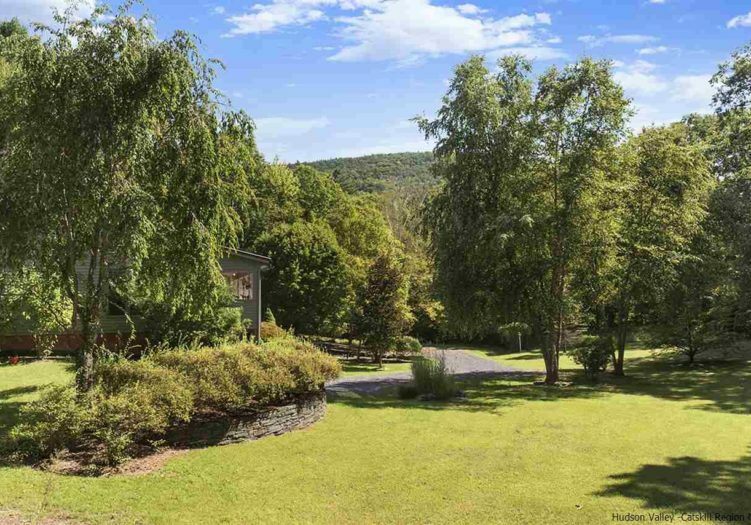 The entire property is gated and completed surrounded with deer fencing to protect your gardens. 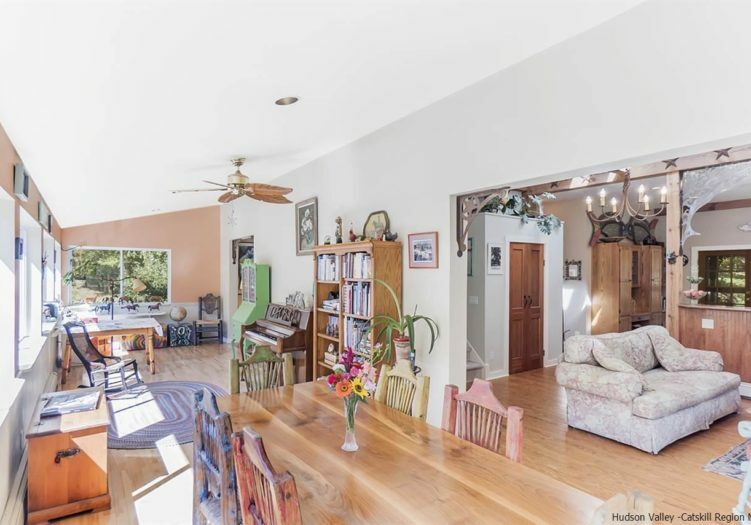 A path leads from the main house through the gardens to a quaint second 1 bedroom home with its own driveway. 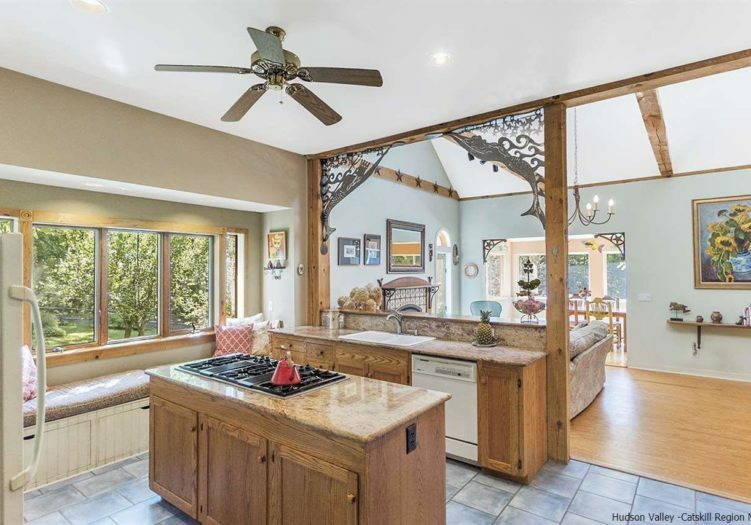 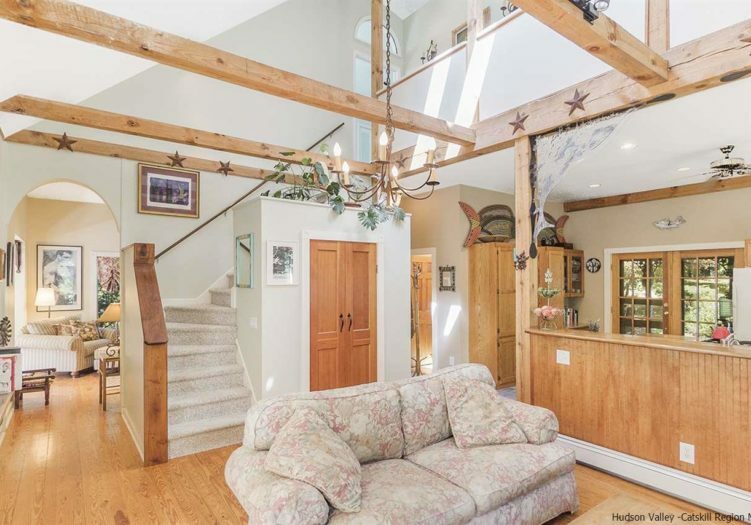 It boasts a metal roof, gorgeous woodwork and remarkable windows. 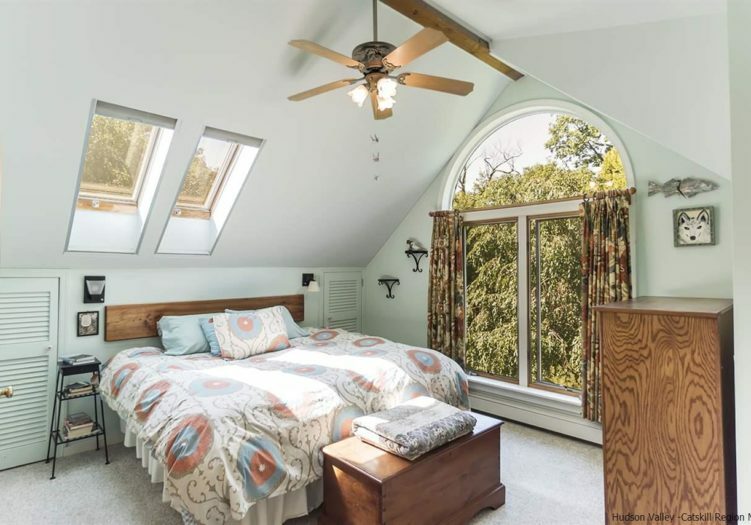 It is equipped with a full kitchen and bath, and the bedroom is large enough for a king size bed with its own a Juliet balcony. 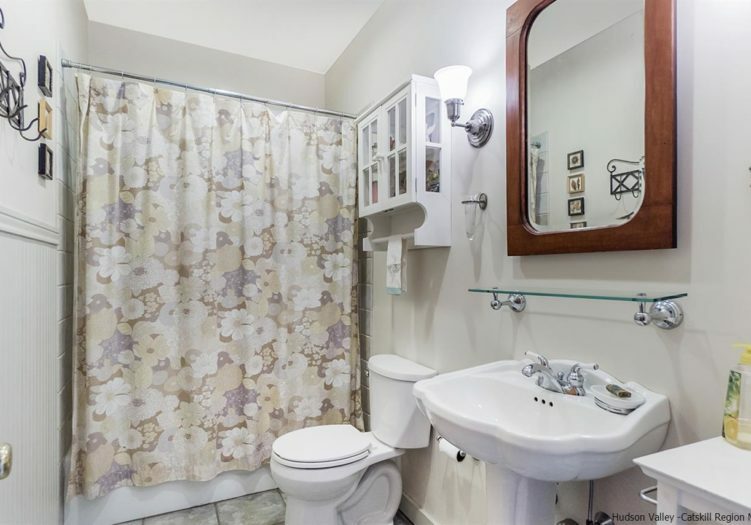 A perfect place for a guest suite, rental income, studio or whatever you can imagine. 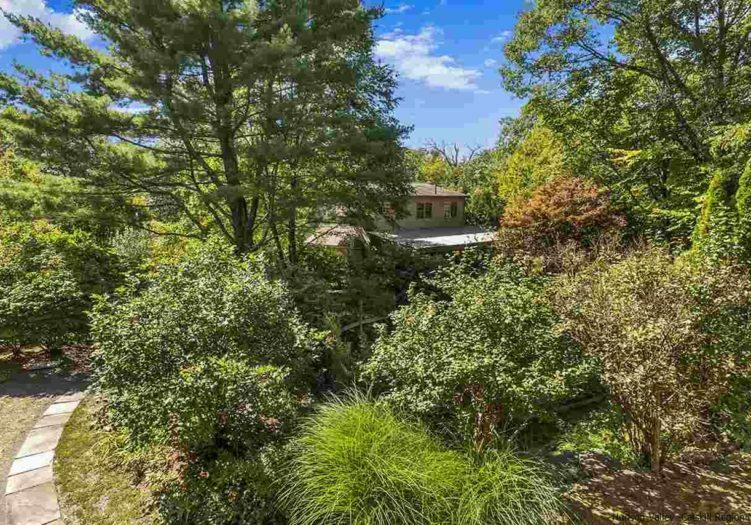 Sitting high above a creek and active stream, one will be serenaded by the gentle sound of flowing water as "country white noise? 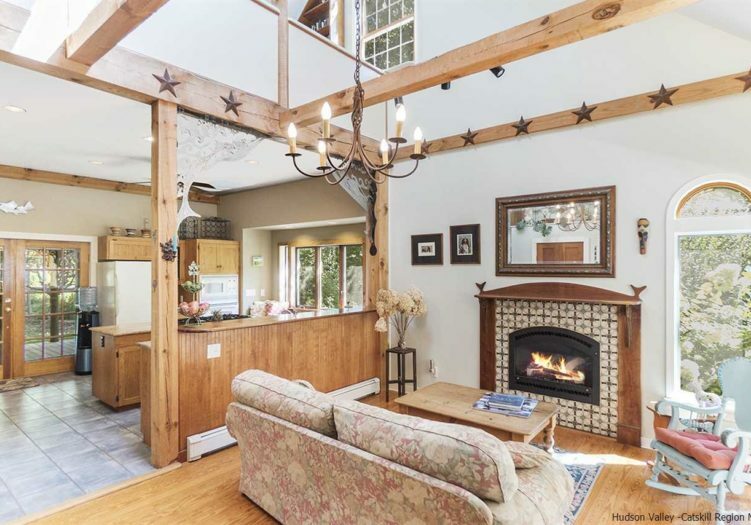 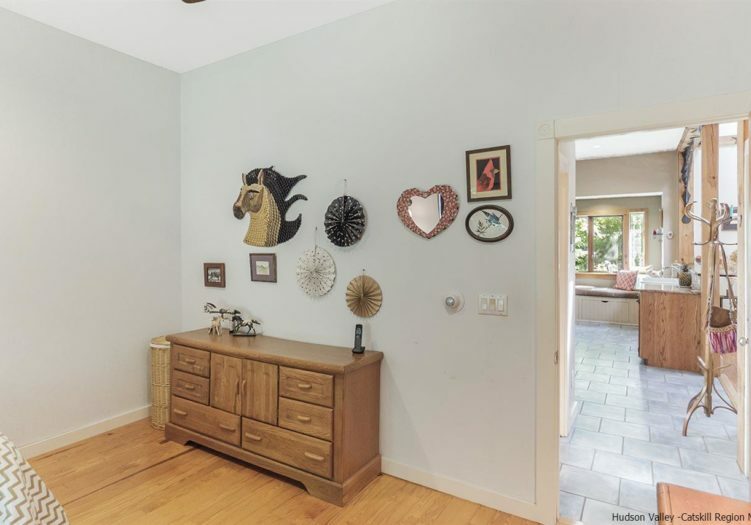 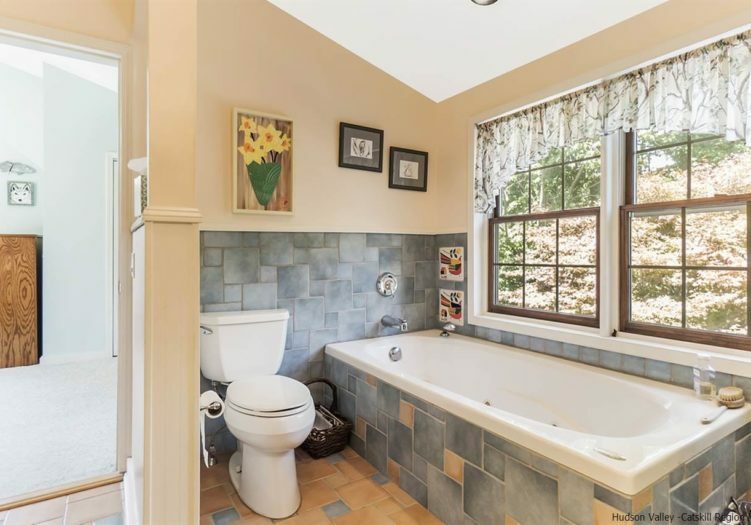 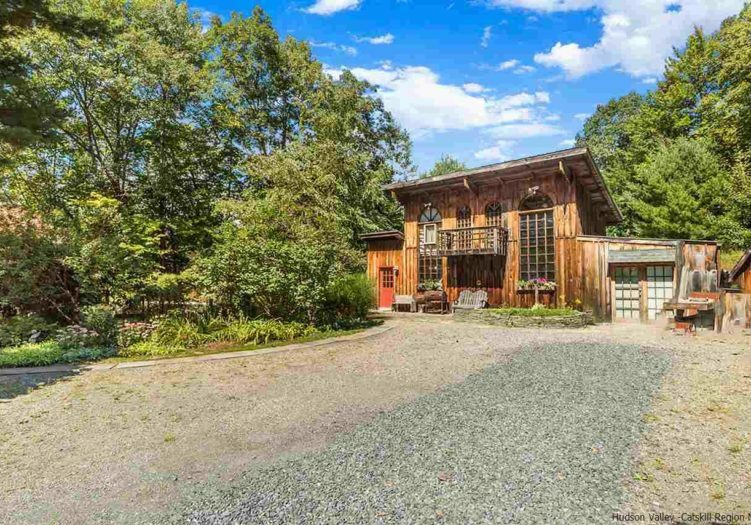 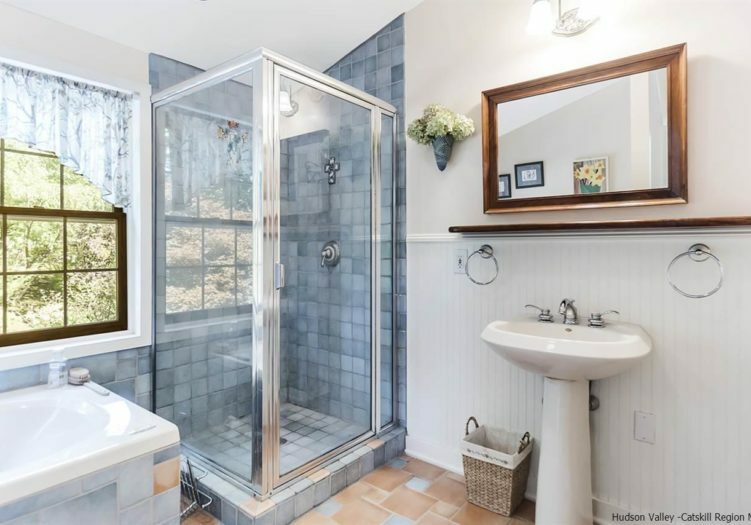 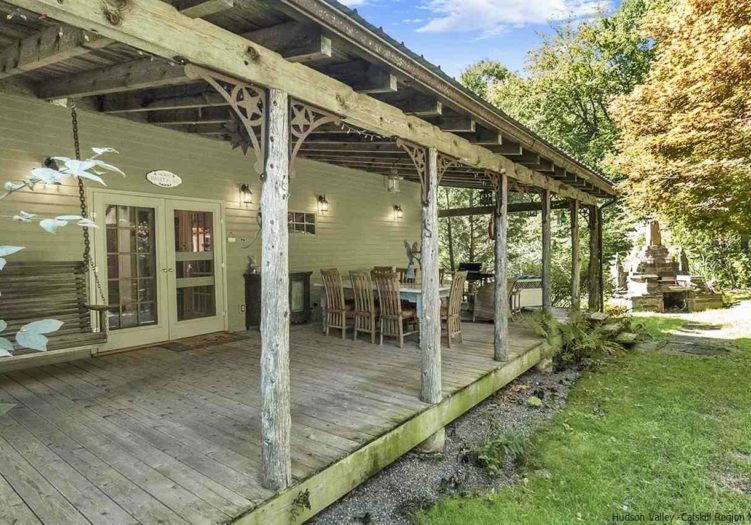 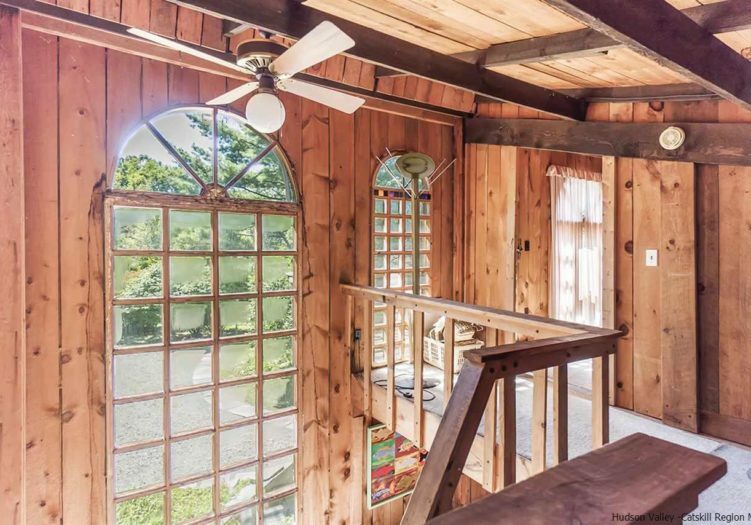 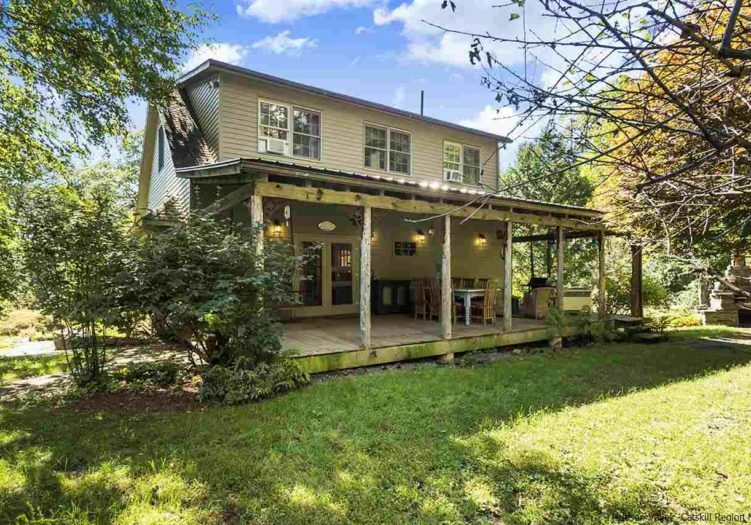 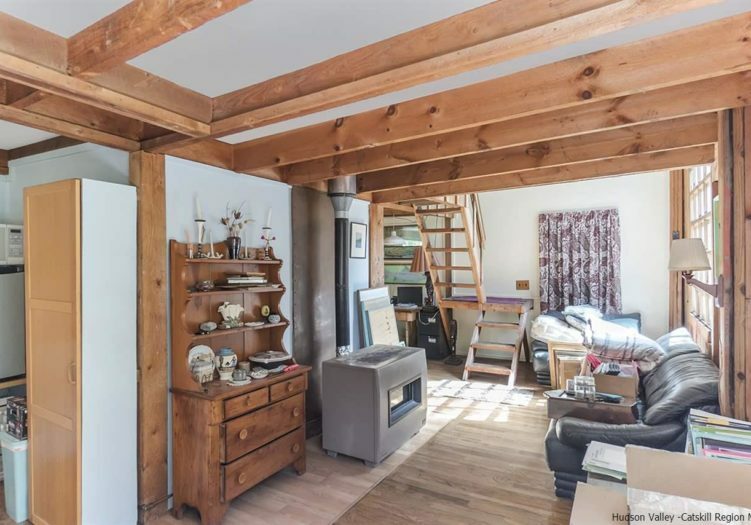 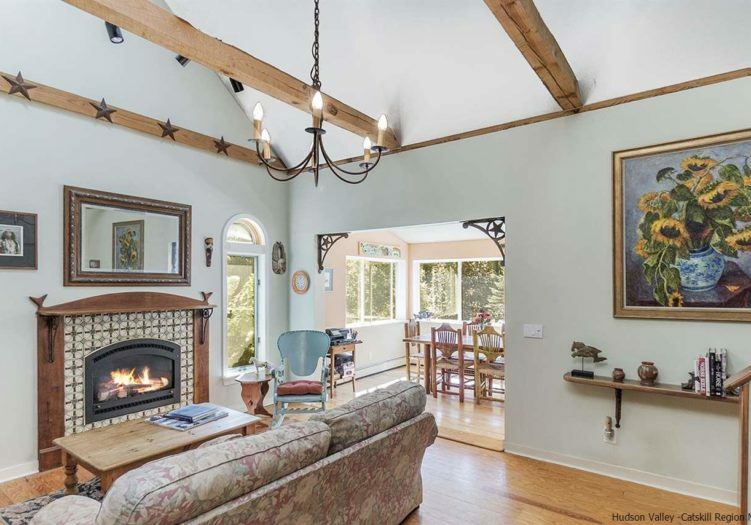 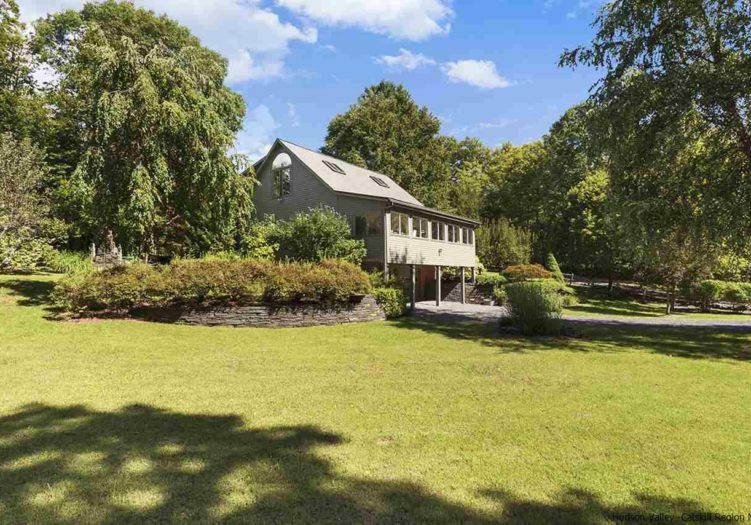 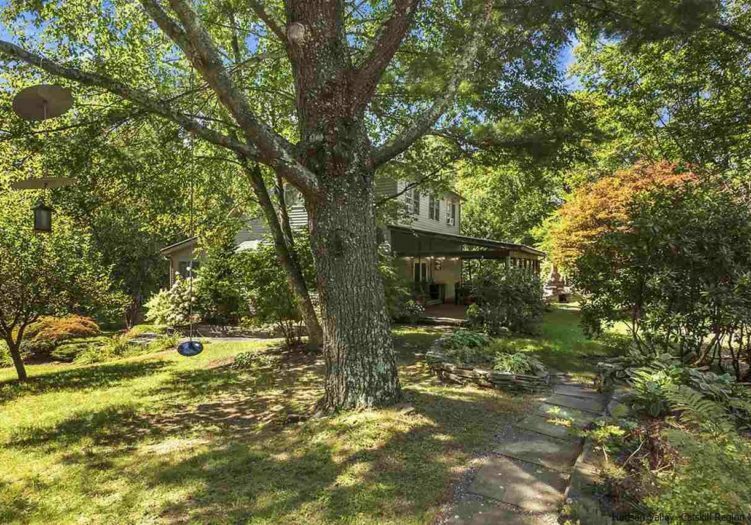 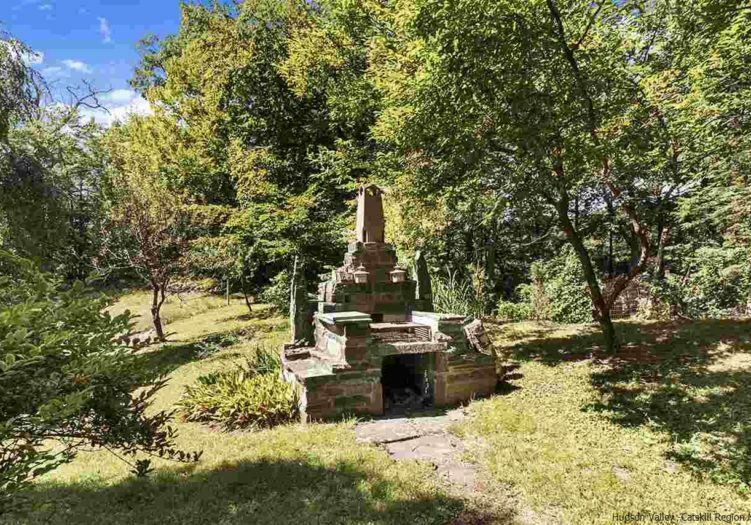 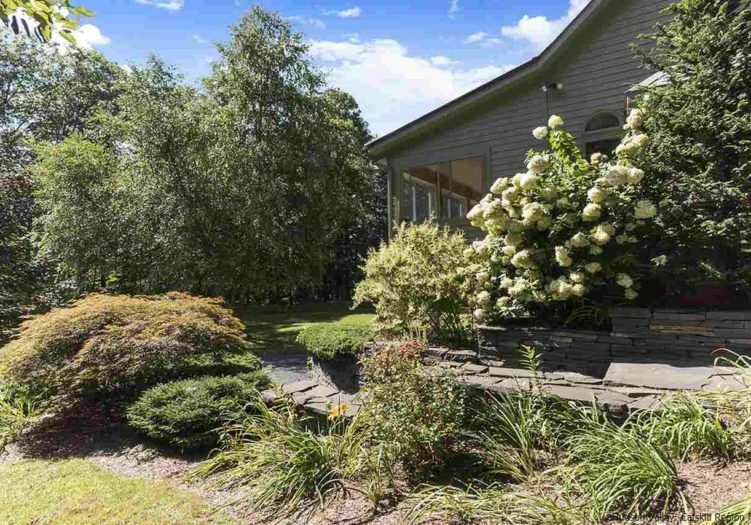 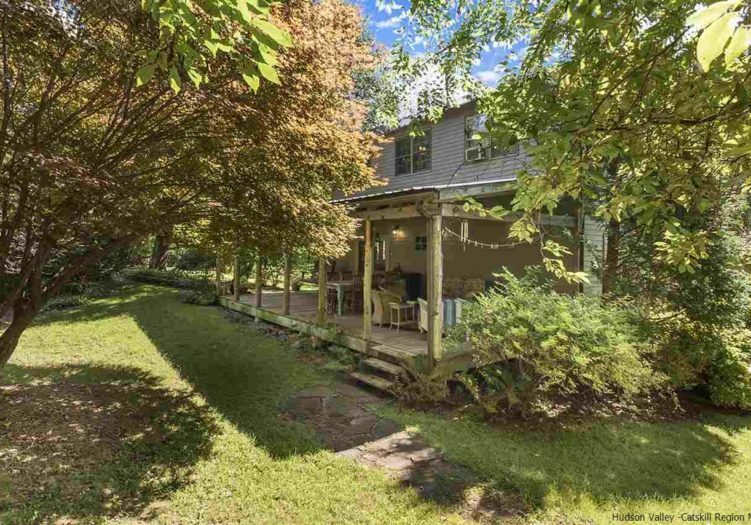 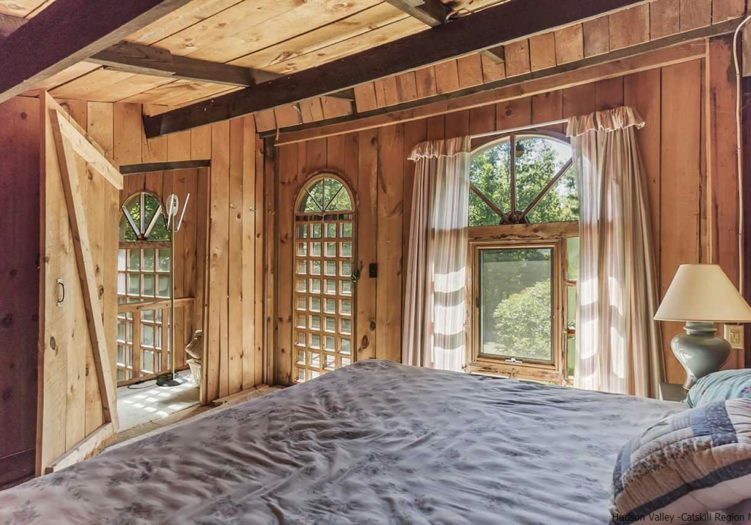 ?, could anything be more relaxing, this is the Bearsville property you have been waiting for.